Lipstick and Lightening: Planning Paris! Hi guys! I hope you are all well. This week, I have been super busy getting things in order and getting last minute things for my first ever solo trip abroad- to Paris! I have wanted to travel the world since I was seven and started collecting Rugrats Around The World. I have always had an insatiable wanderlust and now I get to travel at long last! It's only one holiday for 6 days (3rd-9th September), but I want to see what it's like to travel by myself in one place, instead of place to place, to get used to it. Yesterday, it would have been my first full day in the City of Light, and I'll be visiting the place I have wanted to go since I was eight- Notre Dame! Despite never actually watching Hunchback of Notre Dame, I have admired it so much. It has such a beautiful magic about it. 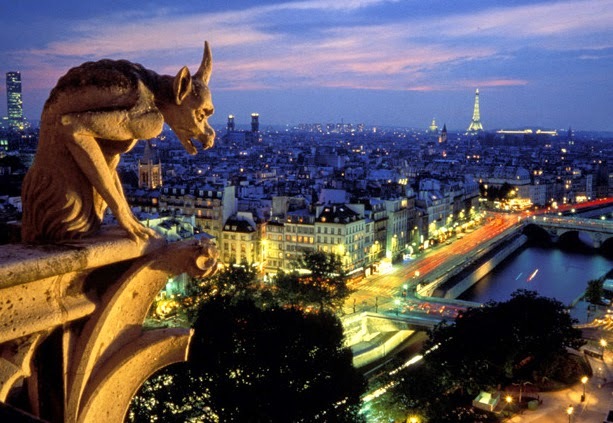 I want to see the city of Paris from the level where the gargoyles sit, beautiful! 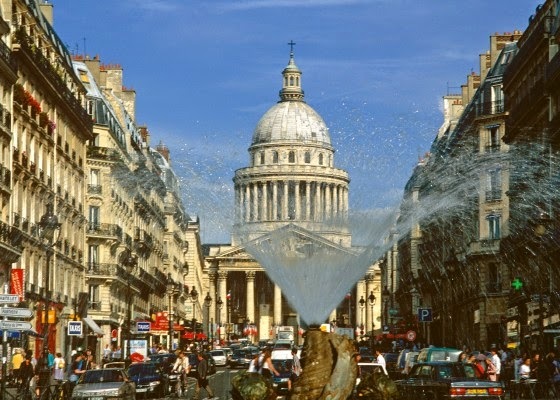 As excited as I am just to wander the beautiful streets of Paris, there are ten places specifically that I want to see. The Eiffel Tower (to be honest, I can take it or leave it), Arc De Triomphe, Champs Elysses, Sacre Coeur, La Geode, Notre Dame, Concorde, Musee De L'Armee, Pere Lachaise Cemetery, and The Louvre. Planning out an itinerary to see all these places in six days has proved much more difficult than I first thought. It seems like such a mammoth task, in a way, but I do love to organise. Especially when it's such a fun trip! So I thought I would ask the blogging community for some help and tips (the point of this blog). I have organised where I've wanted to see on a day by day basis, and I have organised the places by which sight is in the same or nearby Androissements. For example, I would be seeing Champs Elysses, Arc De Triomphe and Place De La Concorde on the same day because they are in the same Androissement, it seems to make the most sense. I wanted to ask those of you that have been to Paris, is this the best way to see what Paris has to offer? getting anything taken off me at security. (despite reading the details to death) Also, I am so nervous about using Paris's subway system, Metro. I've looked up plenty of videos and subway maps, and it all looks so complicated. I know basic French, I don't think it'll be enough for understanding the intercoms etc. So if anyone reading this has any tips whatsoever regarding the Metro, please, let me know below! I am really happy about where I am staying, I managed to get a room in a low budget hostel, sharing with four other girls, in the Latin Quarter, which is known for it's little cafes, bistros and lively atmosphere. Does anyone have any experience staying in a hostel with other people? So, I guess the point of this post was to share my excitement about my upcoming trip, and to ask you lovely people some tips and help on some things I'm unsure of. I won't be blogging the week I'll be in Paris, and maybe not untill the following weekend. I plan to fill you all in on my adventure and I am so excited to write it up! I hope you'll enjoy it! Thank you! :) Oh don't worry, I'll take plenty of photos ;) so excited!